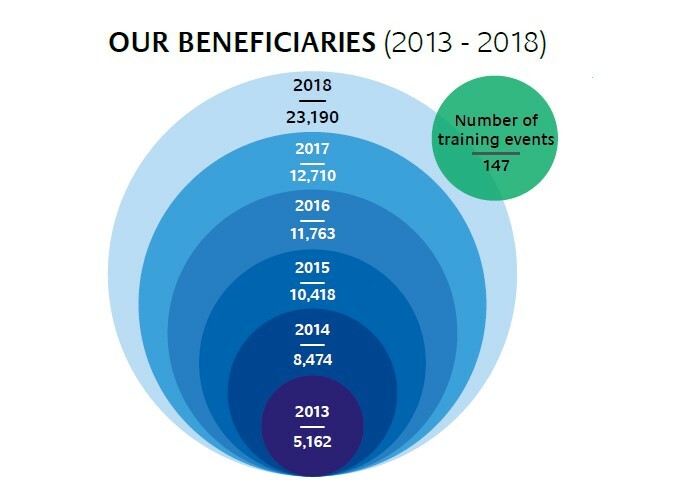 From 2013-2018, the Network has reached close to 75,000 beneficiaries through over 650 training events. 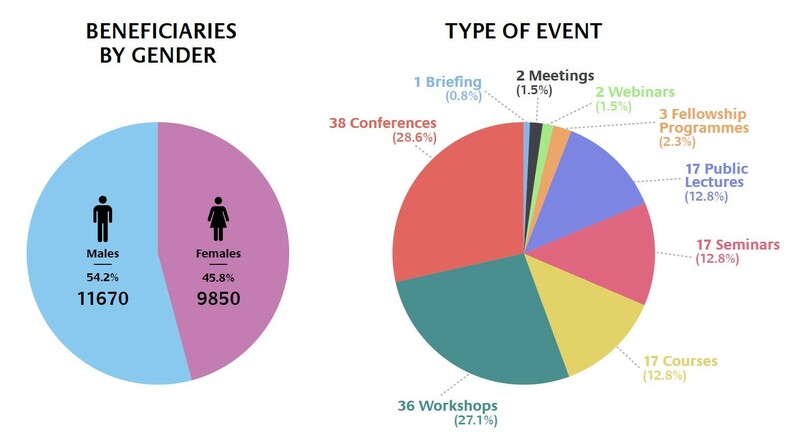 In 2018, the CIFAL Global Network reached 23,190 beneficiaries around the world through 147 training events. The substantial increase in training services and greater outreach reflects both, the expansion of the Network and the continued demand for capacity building at local and subnational levels. The CIFAL Global Network also offers training activities aimed at raising awareness of the Agenda 2030 for Sustainable Development including its 17 Goals and 169 Targets.